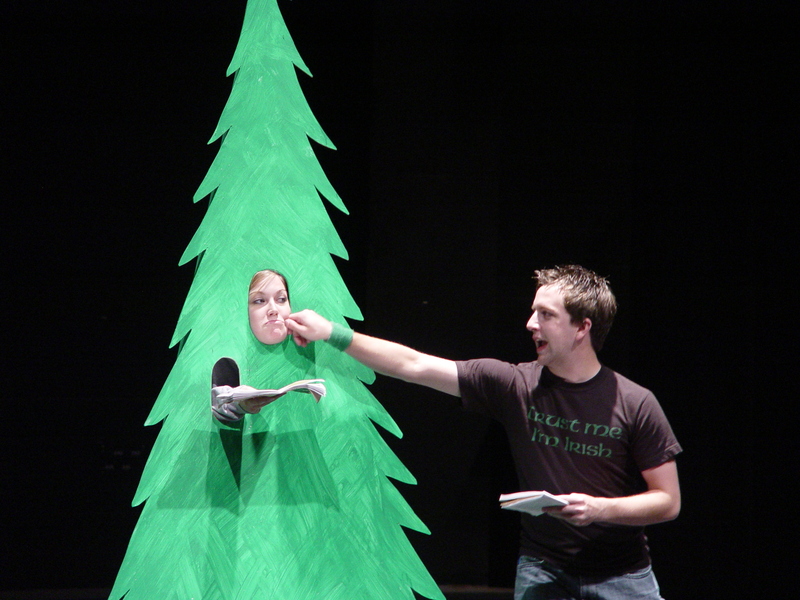 June 8, 2006 - The Arkansas State University Theatre will open the 2006 ASU Summer Children’s Theatre season with “Nick Tickle, Fairy Tale Detective” by Steph Deferie. “Join Nick as he sets out to locate the Mysterious Figure who’s been pilfering all the props! He may require some help from the audience, but Nick Tickle is out to solve his toughest c ase ever. There’s sure to be plenty of clever audience participation and lots of laughs for junior detectives and their grown-ups,” according to a Theatre spokesman. Under the stage direction of Molly Simpson, professor of theatre, the cast for the season opening production includes William Rowland, a senior theatre major from Jacksonville, as Nick Tickle/Father/Jack; Whitney Elliot, a sophomore theatre major from Magnolia, as Gretel/Stage Manager/Woody The Tree/Baby Bear; Megan Gates, a sophomore theatre major from Drasco, as Felicity/Mother/Gingerbread Child; Ben Gibson, a sophomore theatre major from Jacksonville, as Hansel/Funny Little Man/Father Bear/Wolf; Haley Rose Grisham, a sophomore theatre major from Sherwood, as Goldilocks/Mysterious Figure; and Misty Clark, a senior theatre major from Jonesboro, as Granny/Witch/Mother Bear. The production design team includes costume and makeup design by Kelly Schaefer, assistant professor of theatre, scenic design and technical direction by Jeff McLaughlin, assistant professor of theatre, and lighting design by Bob Simpson, professor of theatre. Carl Heyl, a junior theatre major from Jonesboro, will serve as stage manager. Performance dates are Wednesday, June 21, at 10 a.m. and 2 p.m., Thursday, June 22, at 10a.m., and Friday, June 23, at 10 a.m. and 7:30 p.m. This production of Nick Tickle, Fairy Tale Detective is sponsored by Brackett-Krennerich & Associates, Architects, of Jonesboro. All performances will be held at Fowler Center on the ASU campus. All seating is reserved. Tickets should be purchased in advance at the ASU Central Box Office in the Convocation Center for $4, by calling 972-ASU1, or online at tickets.astate.edu. Tickets may also be purchased at the door (if available) on the day of the performance for $5 each. Advance reservations are highly recommended.